Rolando Somera, the former vice-governor of the province of Abra died during a shooting incident along Munding Avenue in Marikina City on Saturday morning (June 10). Somera was 62 years old and was a resident of Vista Verde in Cainta, Rizal. Two persons (companions of Somera) were also injured during the incident. One was hit in the stomach by a bullet. He was rushed to the nearest medical center. 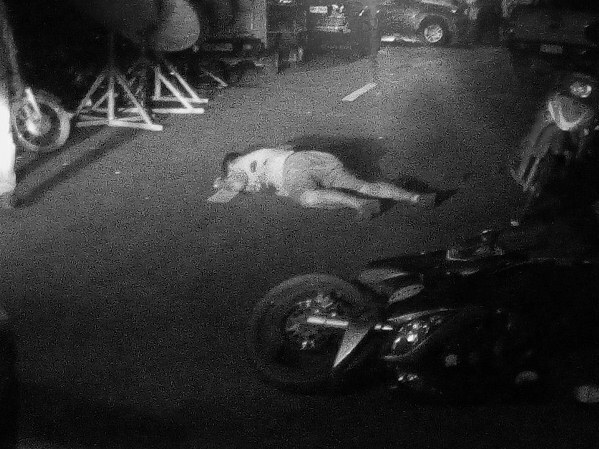 Initial police investigation showed that Somera just came from the San Roque Cockpit Arena in barangay San Roque around 1:00 in the morning when a man approached and fatally shot him. The incident was caught on video by a closed circuit television (CCTV) camera which was installed nearby. In the video, a lone gunman can be seen approaching the former politician then shooting him several times. The suspect then fled on foot. However, a different CCTV camera angle showed two suspects fleeing the scene and getting inside a green car. It can be recalled that Somera ran during the May 2016 elections but he lost to Ronald Stimson Balao-as of the National Unity Party (NUP). Authorities are still looking into the incident to determine the gunman's motive. Frances Berona Somera, the former politician's daughter, wrote a statement on Facebook saying that Somera will be laid to rest at Paket Santiago Funeral Homes along Marcos Highway. His remains will be brought to Pilar, Abra. "Today is a devastating day for so many people, most especially our family. We have lost a wonderful man, a son, father, grandfather, brother, and a great friend to most. In this most grievous time, we thank everyone for your condolences, messages of love, and most especially your prayers for our papang. You give us strength with your stories of what a great man he is."